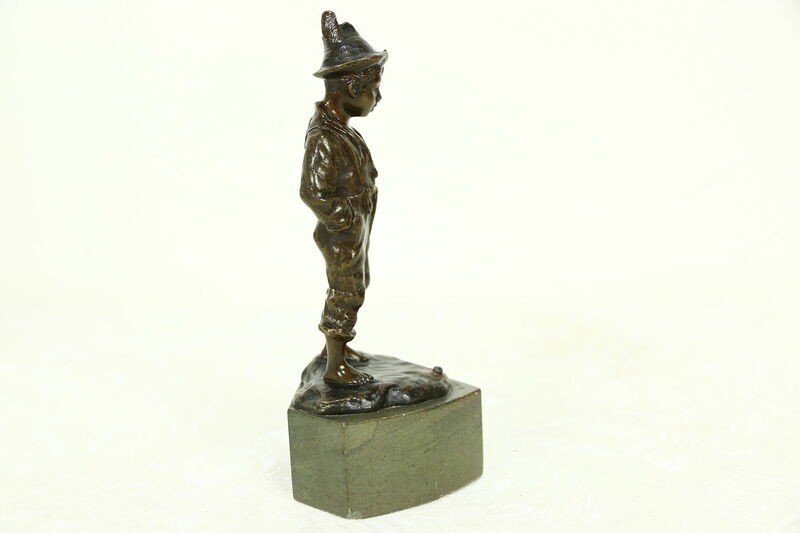 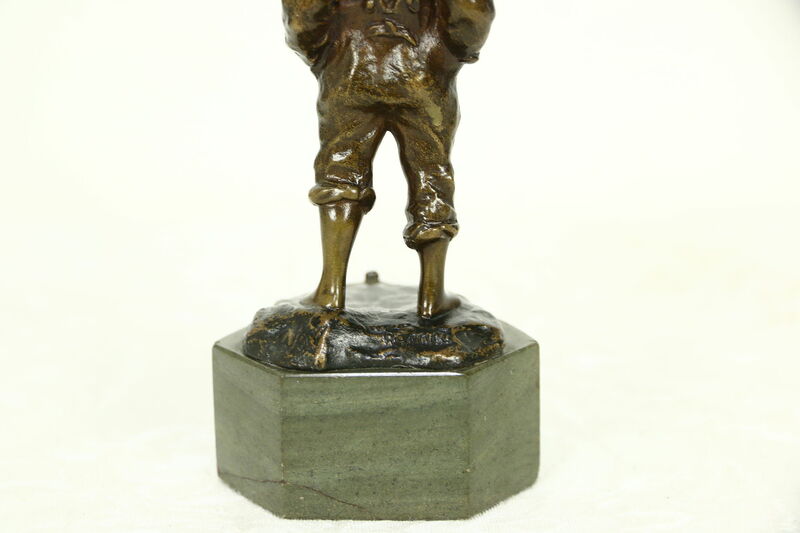 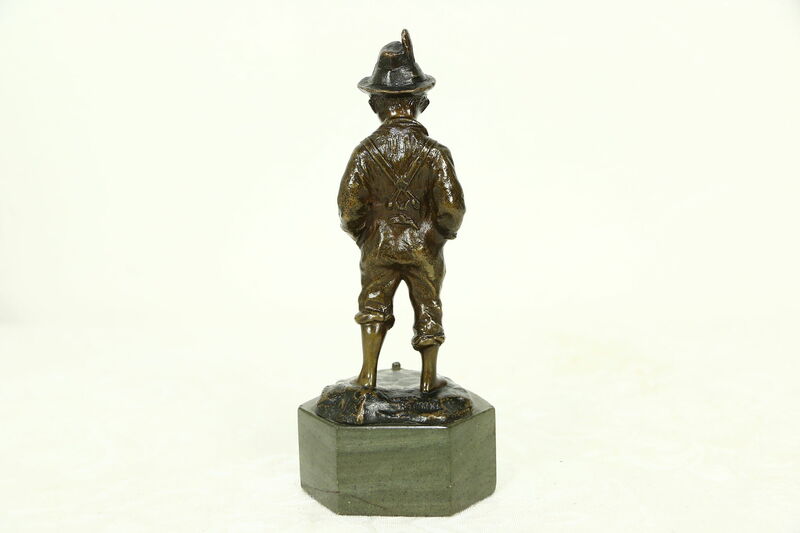 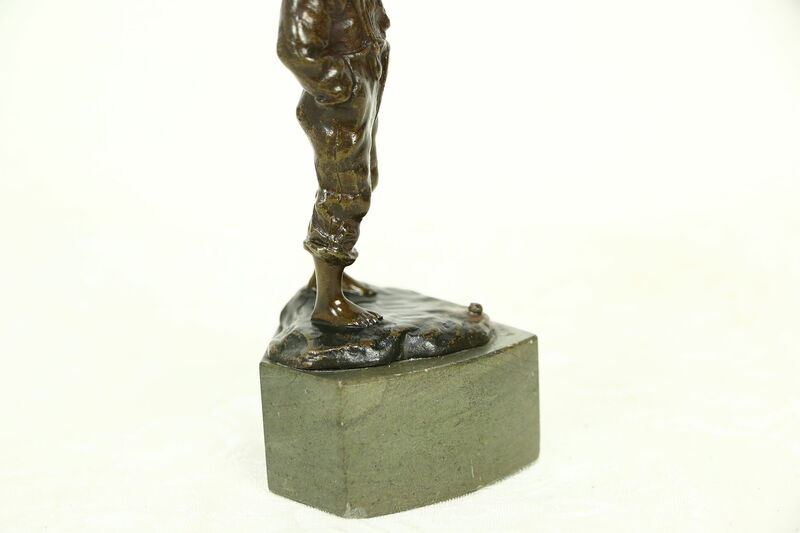 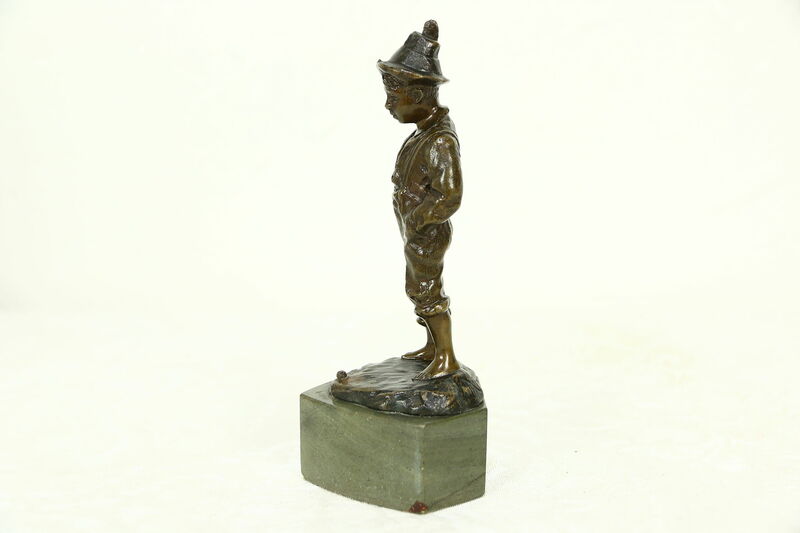 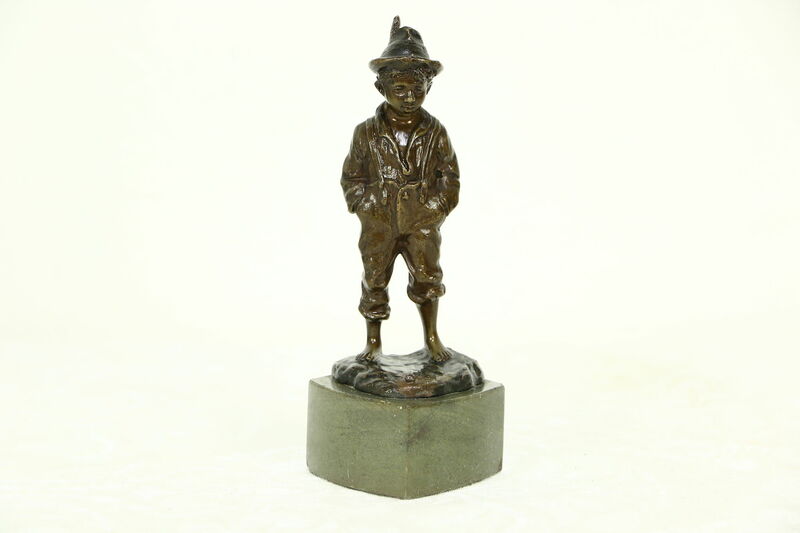 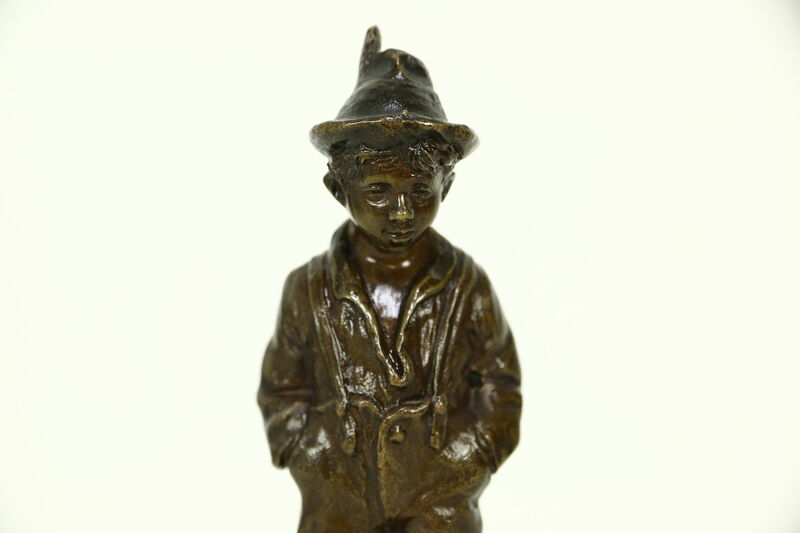 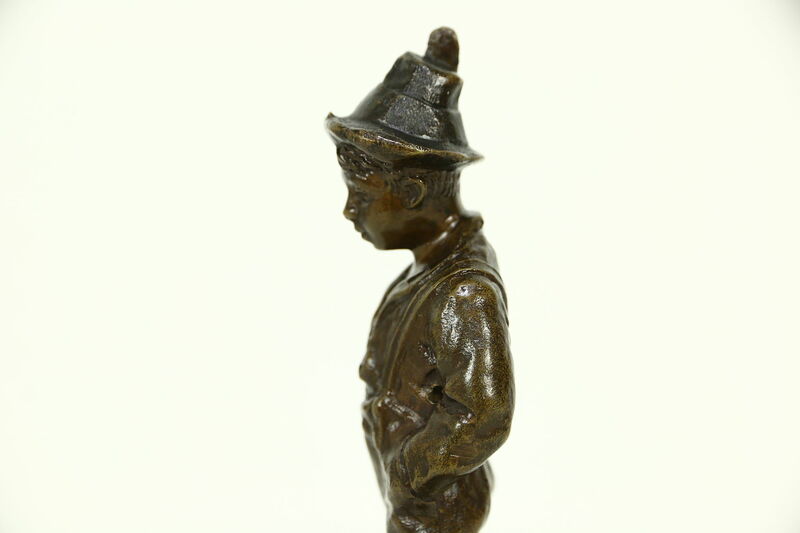 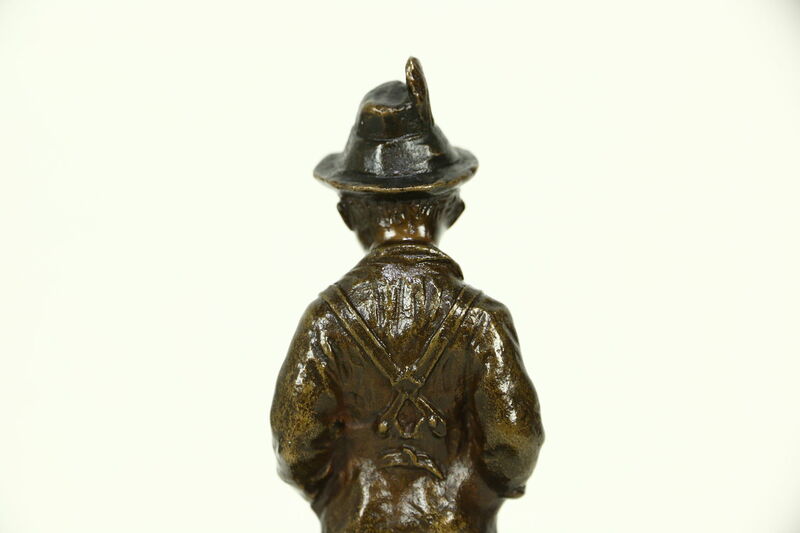 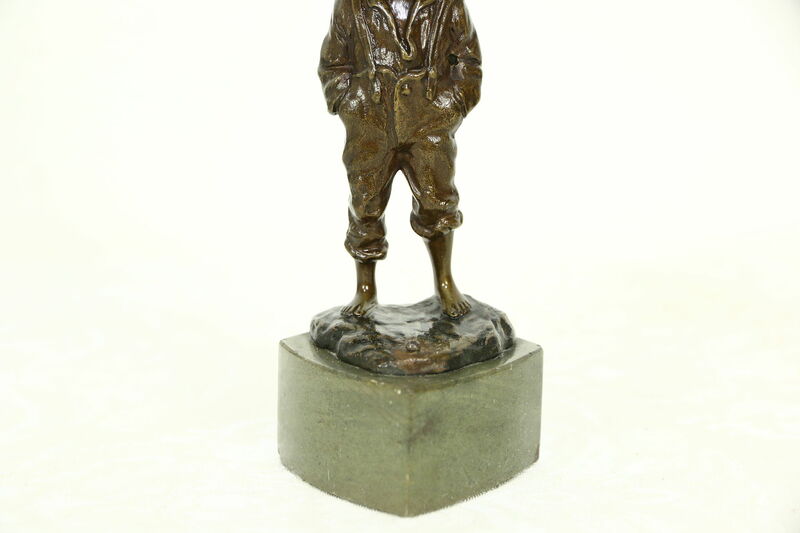 A bronze statue of a barefoot boy has a feather in his cap and his hands in his pockets. 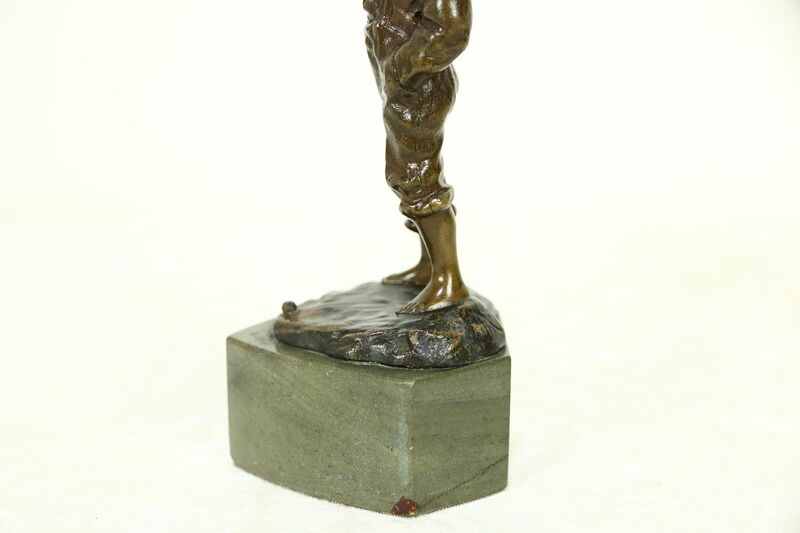 The pedestal is marble on this antique work of art. 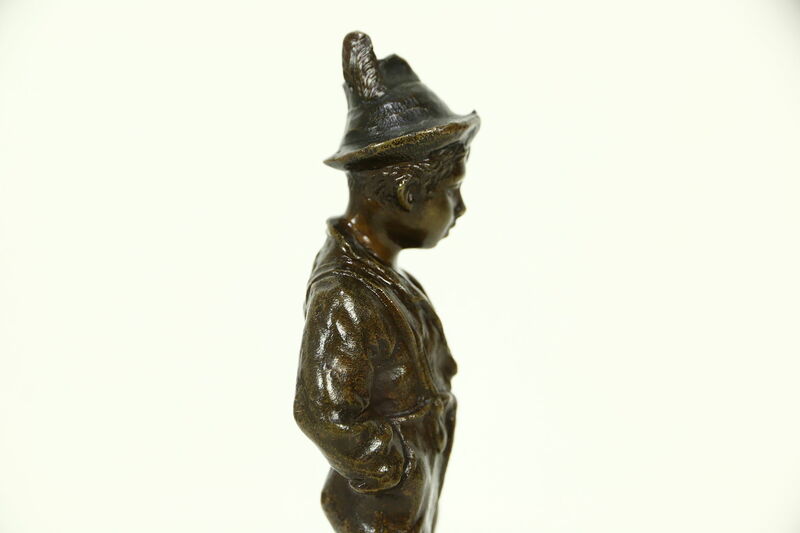 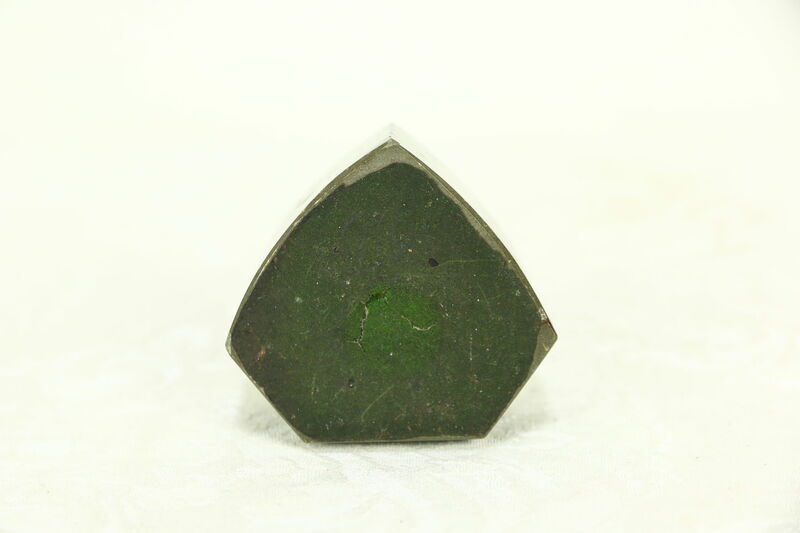 Size is 2 1/2" across and 5" tall.